A portrait of Winston Churchill was unveiled in 1954 to celebrate his 80th birthday. ‘Do you want the cherub or the bulldog?’ he had asked painter Graham Sutherland during the sittings. The politician had been controlling his public image for years; in this case he did so by setting everything up in his own studio (he was himself an amateur painter) and disconcerting the artist by smoking, swilling brandy and nodding off. Sutherland painted neither the bulldog nor the cherub, and Churchill dismissed the final work before hundreds of people as ‘a remarkable example of modern art’. The portrait itself only exists on microfilm. The Churchills eventually had it burnt. Thus Simon Schama’s new series about British portraiture – the first episode of which explores pictures of the powerful – begins with a brilliant false start. How artists managed to ‘mischievously complicate the vanity’ of the sitter is his topic, and he couldn’t have found a vainer bunch, or at least a group of figures on whose appearance more than just personal vanity rested. 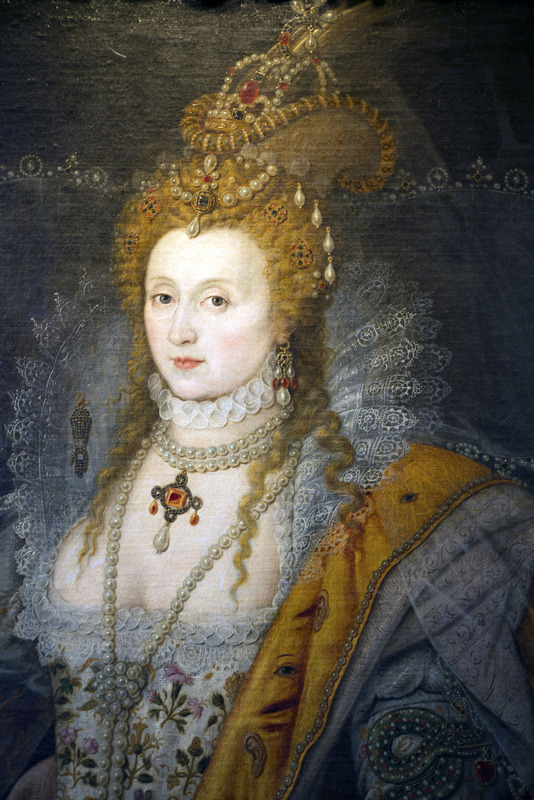 Elizabeth I forbade unauthorised portraits of herself, and the official ones show her getting more beautiful rather than ageing. Margaret Thatcher turned paparazzi intrusions into photo-ops and micro-managed her official portraitist, making him touch up this and that to her specifications. Between these women came Queen Victoria who lived in an age when, suddenly, anyone could own their own portrait, and, similarly, the Royal family could disseminate images of themselves as a normal Victorian family with bourgeois values – effectively creating the royal tat industry. We are consequently invited into the home of memorabilia collector Margaret Tyler, which is piled to the ceiling with God Save the Queen cushions. The first episode of the show doesn’t quite escape a sort of homely tackiness; but then, it was probably this slant which pushed it through the BBC boardroom to a mainstream channel and saved it from BBC Four. At least we have Schama – incisive and authoritative but gentle and approachable – to take us through it. His storytelling and curation is emotively structured and tense throughout, and he manages to find original, even lyrical things to say about the old icons. ‘The Face of Britain by Simon Schama’ is a six-part series on BBC2. An exhibition, ‘Simon Schama’s The Face of Britain’, is on view at the National Portrait Gallery until 4 January 2016. Is it better to throw in your lot with dozens of other Sunday painters than go to art school?